If you can't find Courageous Yon hi is on top of the mountain. Finding this NPC was very frustrating. He is in a very small and obscure cave in a dark portion of the mountain, not at the very top. In this image I am standing at 35.9, 74.6 in Kun-Lai Summit, facing exactly north, exactly toward the mouth of the cave. 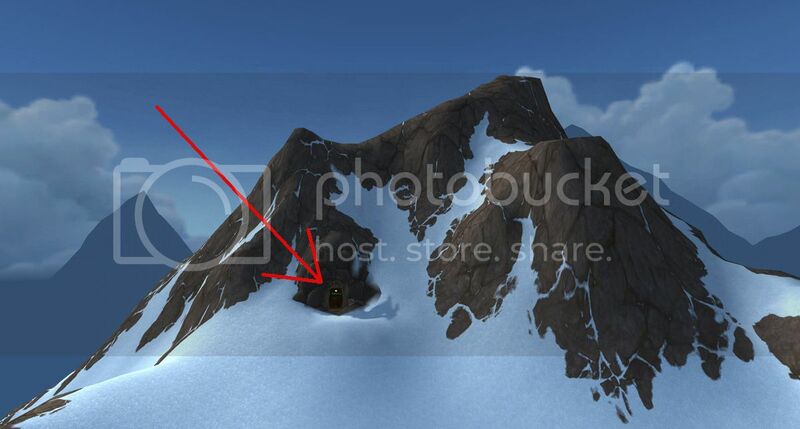 Fly to these coordinates and land down on the snowy platform where I am, and you will see the cave opening if you face north. He always start with the flying pet Piqua, so counter attack that properly with for example Oily Slimeling. Then you down the first pet easy. After that he pulls a Beast and Critter pet. Counter attack those with any Mechanical pet, and any Spider that use Brittle Webbing (petability=382). Critters use very often spells like Stampede (petability=163), multiple little attacks. So your web hits him while he attacks you. Where do you find him you ask? Mei Li Sparkler (Swarm the first round and then Slicing Wind kills first. Then at last possible chance before this dies, swarm again), Nether Faerie Dragon then Arcane Blasts for 2x damage and 1 more time to finish his second pet. If low on health, Life Exchange, then Arcene Blast until this dies. Rabid Nut Varmint 2000 easily handles the last one. World of Warcraft, Pandaria Pet Battle Guide. My fastguide is the notes I have made for myself to get through the dailys in Pandaria a little quicker. The order they follow is the most effecient way to get to all 22 if you look at the world map, starting from the Shrine of Two Moons. few hundred gold and 500 timeless coins on the Pandaria dailys every day. This should be all you need to conquer the dailys. Good luck and happy pet-battling! Fastguide (all pets mentioned below are Rare (Blue) and lvl 25, except your level-pet (if any) ofc. See each move-build in the Appendix A section of this guide and see Appendix B for in-depth guide for each battle. The pet-battle-move-sets I use in this guide. Moths for No-No: Amber Moth, Gilded Moth, Luyu Moth: Alpha Strike, Cocoon Strike, Moth Dust. Soloed with Chrominius, on Piqua spam Arcane Explosion and Ancient Blessing whenever its off cooldown, with this tactic you'll damage Lapin and Bleat significantly. When Lapin comes up use Ravage, first one will hit and then Lapin will use Burrow, use Ancient Blessing after 2nd ravage misses. Again use Ravage and finish Lapin. Bleat comes up, 2nd ravage hits him, at this point you don't have to heal yourself anymore, use Arcane Explosion until Ravage comes off cooldown and finish Bleat with it. 2. Rare level 25 H/B Tranquil Mechanical Yet: Metal Fist, Call Lightning, Ion Cannon. Silkbead Snail killed the 1st and 2nd pet (flyer and critter) spamming Ooze Touch, and using Dive to dodge the 1st pet's Lift-Off and 2nd pet's Burrow. Tranquil Mechanical Yeti killed the 3rd one (beast) with a Call Lightning, then Metal Fist, then Ion Cannon. Jadefire Spirit with Jade Claw, Emerald Presence and Healing Flames can solo his all 3 pets. Here's a guide to SOLOING this tamer with a single pet - the Anubisath Idol. Using this method, you can carry low-level pets and power level them. All you need is a level 25 Anubisath Idol. You can chose any filler pet for slot 2/3 including 1 (or even 2) low level pets to power level. This fight is an absolute joke for the Anubisath Idol. Each enemy pet's damage is largely mitigated by Sandstorm, and each has a big ability that can be blocked by Deflection. The beauty of Deflection is that is always goes first, and also will block EVERY direct attack that occurs in the turn that it is used. In addition to all this, every time an enemy is hit, the idol, as a Humanoid pet, regenerates 4% health. As a result, I often end off killing the last pet with 100% health. Piqua starts with using Squawk, then Lift-Off which takes two turns (one to fly up, and a second to fly down and deal the damage). It's a simple matter to use Sandstorm on Turn 1, then Deflection whenever he is about to come down from Lift-Off (Turn 3). After Lift-Off has been used, the next ability is Flock, which takes 3 turns. ALL DAMAGE from this ability is mitigated completely, making this an excellent time to switch in one of your carry pets*. Use one attack with your carried pet, then switch back to the idol. Use Crush to deal damage, and Sandstorm on cooldown to finish off Piqua, using Deflection when necessary to block as noted above. Lapin will use Adrenaline Rush and Flurry which will hit your idol and take a bit of health off. Simply continue damaging as noted above with Crush and Sandstorm, and Deflection to block the Burrow ability (also a 2-turn ability like Lift-Off). Isn't too hard to finish Lapin off as well. Bleat will use his namesake ability (Bleat) to heal himself intermittently. Otherwise he uses Chew (yet another 2-round ability!) Which should be blocked with Deflection on the second turn. Stampede, his other ability, is essentially the same as Flock - 3 turns, with ALL DAMAGE being completely blocked*. 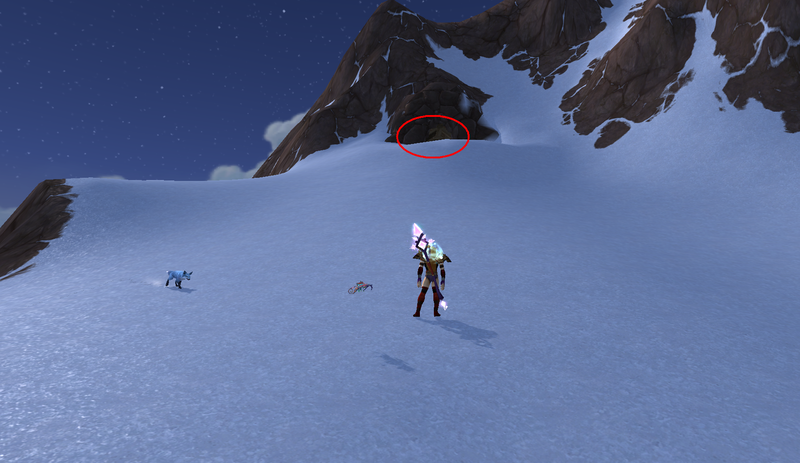 This would be another spot for you to switch in a carried pet, if you didn't do it when fighting Piqua, or if you had a second pet to carry. Once again, use the same damaging abilities to whittle Bleat down. *Do note that Sandstorm will mitigate the multi-round attacks like Flock and Stampede completely for most pets, but I have found that Elemental pets will take some damage from those abilities through the Sandstorm. This is because Elemental pets ignore weather effects, including Sandstorm. As such, your carried Elemental pets may need to be level 5 or so, in order to withstand the damage for a couple of rounds. Alternatively, you can time your pet switch so that you catch the last round of a multi-round ability and the round in which your low level pet attacks is one where the enemy is using Chew (Round 1). This means that your Anubisath Idol will take some damage when switched back in, but that is not a big deal since he takes so little for the rest of the battle! The Emeral Proto-Whelp (P/P, rare, lvl 25) is just crazy strong against him. I use him (Emerald bite & Emerald presence in slot 1 &2) along with any decent mechanical pet and a carry pet. Bite, Presence, keep Biting till Piqua dies (2-3 bites are enough). Bite, Presence, keep Biting till Lapin dies (3-4 bites are enough). If you just wanna beat him, keep biting, u'll probably win. If needed bring in the mech. If you're leveling a pet over level 5, bite twice, then switch to ur lvling pet, then switch to ur mech to clean up. If you're leveling a lvl 1 pet, bite twice, then keep passing till the Whelp dies (sorry), switch to lvling pet, then immediately switch to ur mech to finish off Bleat. OMG...This Video will show you EXACTLY where Grand Master Yon is. You can see the fight in this video here at 33:40." Defeat Courageous Yon in a pet battle. If you think I am going to let you walk away with another victory in hand, you are sorely mistaken. This time, I will stand over you as the superior trainer! Fine. Victory is yours once more. Begone, I have much preparation to do before we meet again.